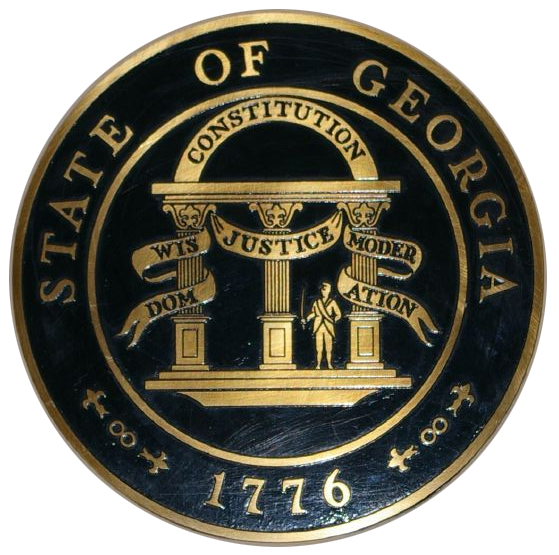 Great Seal; State of Georgia. Photo by Tamera Clark/Flickr (Noncommercial Use Permitted with Attribution/No Derivative Works). The three pillars are symbols of the legislative, judicial and executive branches of government. 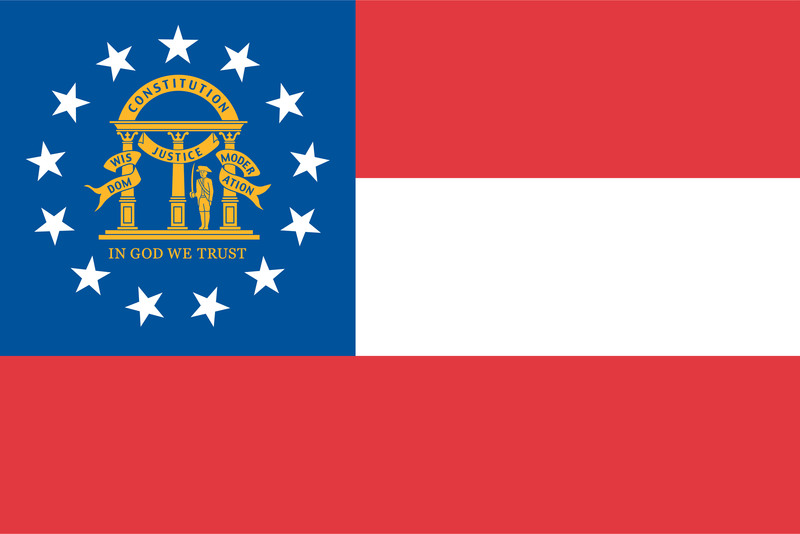 The man standing with drawn sword defends the Constitution and its principles of "Wisdom, Justice and Moderation" (Georgia's state motto). 1776 is of course the year the United States declared independence. 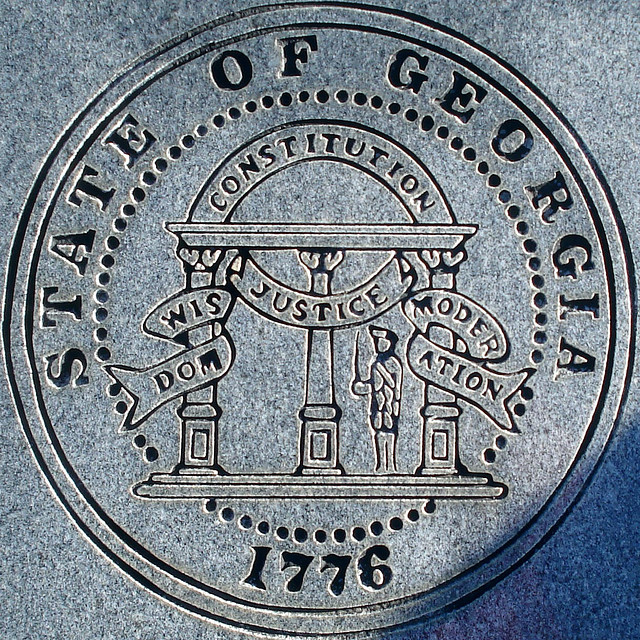 The reverse of the state seal displays a scene of agriculture and commerce; a ship with cotton and tobacco, and a man plowing.